With hundreds of induction cooktops available in the market, finding the perfect one for your kitchen is the most daunting task as you don’t want to end up buying the wrong one. 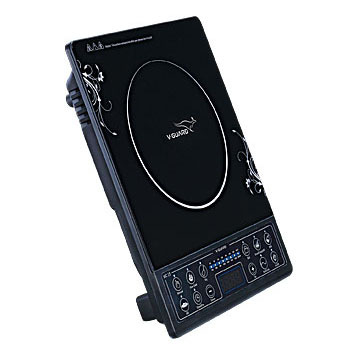 Allow us to help you choose the best, the V-Guard VIC 15 induction cooktop with high/low voltage cut offs, 25 Amps IGBT and checking of electricity consumption and line voltage, Induction cooktop – VIC 15 has built-in commendable safety measures that prevent you and your property from getting harmed. From overflow, overheat detectors to a child’s safety lock, this induction cooktop provides a feature of 8 stage power and temperature settings that helps you live a tension–free life. With this cooktop, your culinary creations are sure to be more impressive with less effort.